Santarchy is a worldwide movement designed to protest the commercialization of Christmas. "SantArchy Party @ Underworld" Party in Bucharest. 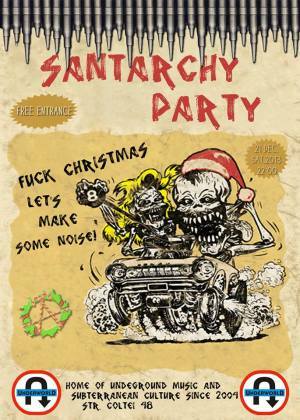 You can get here description, reviews, address, time and details of "SantArchy Party @ Underworld" Party in Bucharest. Visit Bucharest Tips for more Party events in Bucharest!